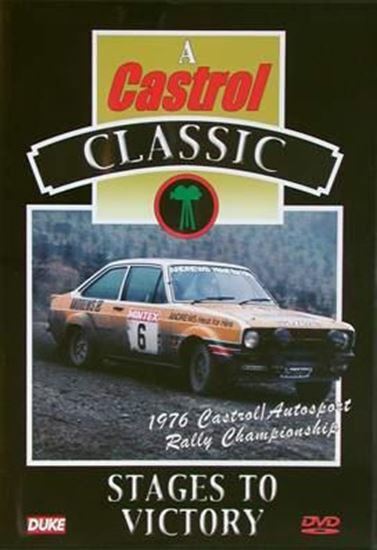 The 1976 Castrol/Autosport Rally Championship was an action-packed international event that kept fans on tenterhooks until the last stages, and the four rounds shown here are full of classic rallying youï¿½ll never see the likes of again. The Ford RS 1800s and Lancia Stratos were driven by now-famous names such as Ari Vatanen and Andy Dawson, who had to contend with slippery cobblestones, yumps, sharp corners and deep mud. Some cars ended up bogged in water traps while others came to rest in turnip fields, down embankments and even in the Irish Sea! Although the cars look a lot different than todayï¿½s turbocharged machines, the racing was as competitive as ever and the crowds just as passionate. Only three points separated the top two drivers in the final round of this exciting slice of rallying history.